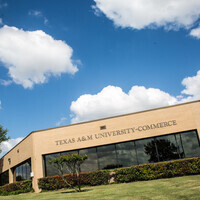 The Texas A&M University-Commerce Mesquite Metroplex Center offers both graduate and undergraduate classes at a convenient location. If you're interested in a superior degree from exceptional faculty in a great location, peruse the options on our site or stop by and check us out. We look forward to serving you this semester! Open House for prospective graduate students to meet with program faculty and representatives from campus offices to learn more about our graduate programs.